BOMBERG’s Bolt-68 Chronograph is a modern watch making gem that shakes up traditional watchmaking standards to impose its own rules. This sporty chronograph timepiece can be switched between a wristwatch and pocket watch. 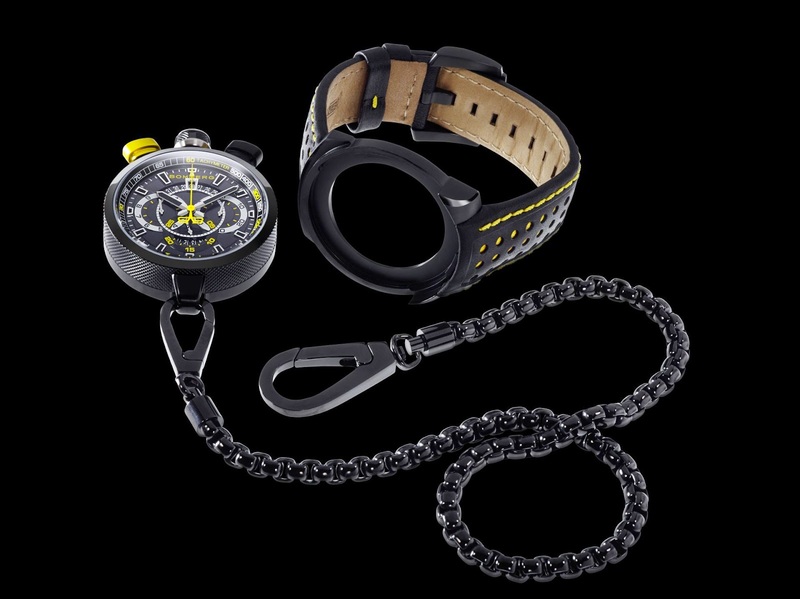 It comes in a 45mm round black PVD-coated steel with criss-cross knurled pattern. The crown and chronograph pushes of Bolt-68 Chronograph are positioned at 12 o’clock. The ultra-powerful construction with a criss-cross knurled pattern around the rim not only aesthetic but also ensures a firm grip when it’s time to transform the Bolt-68 from a wristwatch to pocket watch by providing a smooth transition. Equipped with a Swiss made quartz movement, this timepiece displays Hours, minutes, seconds, chronograph and date, tachometric scale. 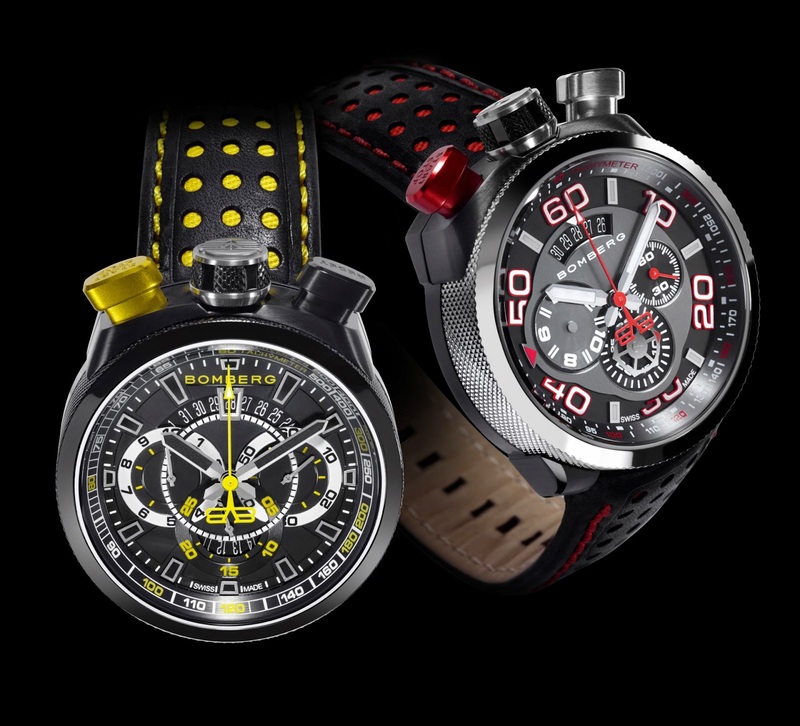 The chronograph-activator pusher is highlighted either in yellow or red colour depend up on models. The meteorite black dial has luminescent hands & hour markers, date aperture at 12’o clock and chronograph 12 hour counters. The inner bezel ring features tachometric scale.